Sea‑Intelligence is a leading provider of innovative objective analysis within the container shipping industry. Combining strong quantitative analytical skills with a deep understanding of container shipping, derived from many years of working within the business, has led Sea‑Intelligence to continuously bring new insights into the industry. 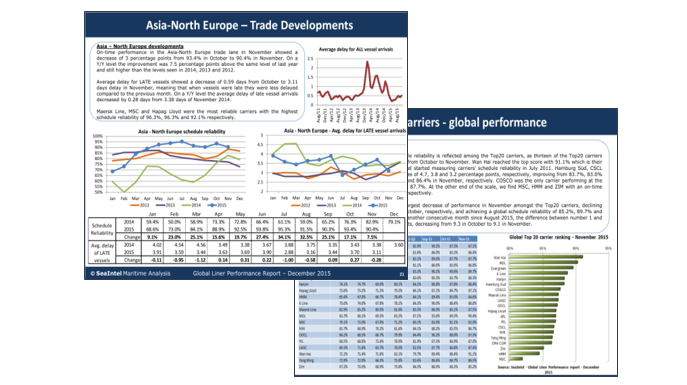 The leading weekly analytical report covering the container shipping industry. 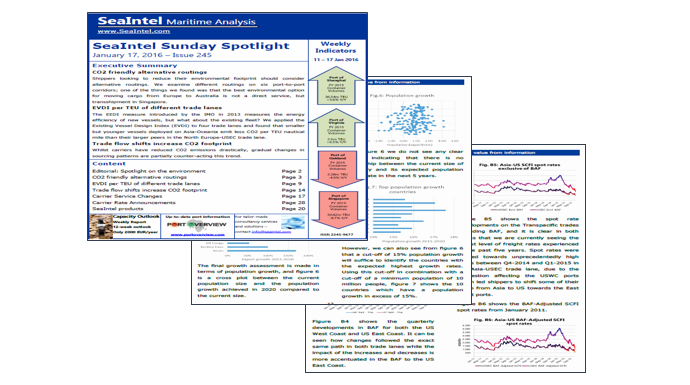 Published every Sunday evening, covering all major drivers of container shipping, e.g. macro-economics, Supply/Demand, freight rate developments, performance metrics, volume developments, transit times, deployment, etc. The liner industry's by far most comprehensive study of ocean liner schedule reliability, measuring schedule reliability and vessel delays across all deep-sea liner services in the World. Based on more than 12,000 distinct vessel arrivals each month, across 60+ carriers, 300+ loops, and 34 trade lanes. The liner shipping industry's only forward-looking capacity deployment report, based on actual named vessel schedules. 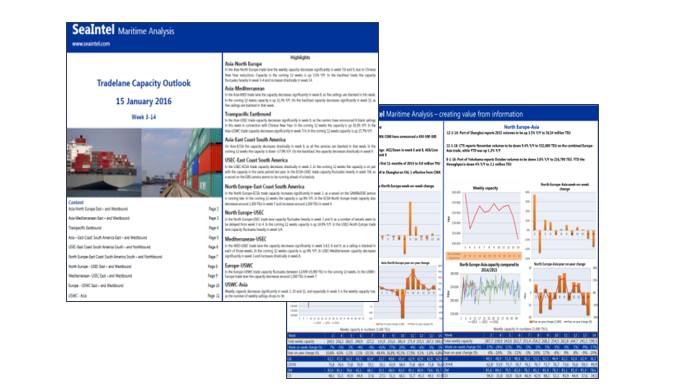 The report covers every single vessel sailing, in every single week, across all loops/services in 19 main deep-sea trade lanes, and provides a 12 week outlook of capacity fluctuations.